Two spacecrafts recently reached their destination, Mars, and have started orbiting the planet. They took off from Earth in November. 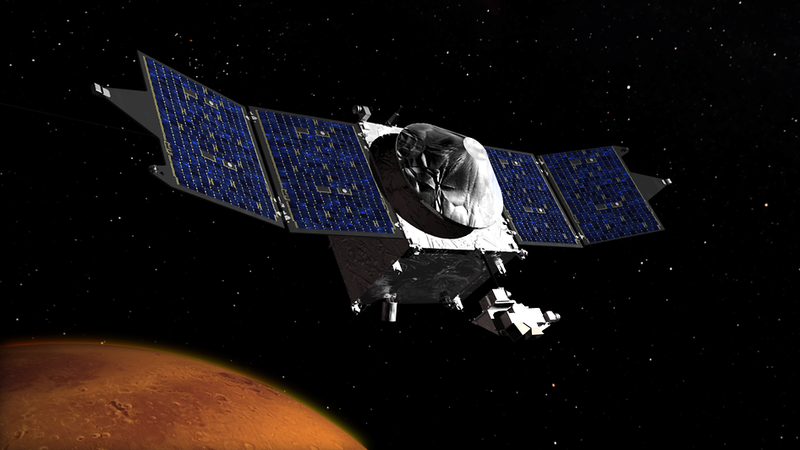 One of them is the American spacecraft called Mars Atmosphere and Volatile EvolutioN (MAVEN, image left), and will study the atmosphere of the planet. The other is the Indian spacecraft called Mars Orbiter Mission (MOM, image below) and will study the Martian surface and also the atmosphere. It’s like a party around Mars. There are a bunch of spacecrafts orbiting the planet and sending data back to Earth. Mars Odyssey has been orbiting the planet since 2001, and it has set a record of being the longest-serving spacecraft around Mars. 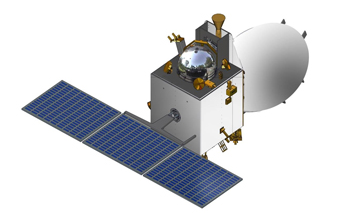 The Mars Express Orbiter has been orbiting the planet since 2003, while the Mars Reconnaissance Orbiter has been doing so since 2006. There are even two rovers (Curiosity and Opportunity) strolling around on Mars. Mars is our neighbor and is called the “Red Planet”. This is because of rust in the Martian rocks which gives the reddish color to the surface. If you feel you just need a few more minutes every day to get your work done, you should be on Mars. A day on Mars takes 24 hours 37 minutes. A Mars year is about 687 Earth Days. Here are a few videos about the missions to Mars.